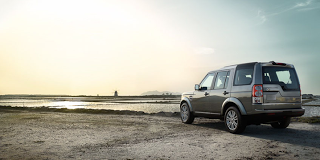 Land Rover went to great lengths to improve the LR4 and now it has an award to prove it. The LR4, which replaced the LR3, has just earned Strategic Vision Inc.’s top award for the Total Quality Index (TQI) in the Near-Luxury SUV segment. Strategic Vision also announced that Land Rover’s sister company Jaguar won an award for the XJ. The TQI award was based on 2011 models purchased from September to December 2010 and mirrors how owners feel overall about their cars experience. Car owners are asked to provide buying, owning and driving opinions of their vehicles.